Going on Vacation: AC ON or OFF? Choosing the right air filter can be a daunting task. Have you wondered why there are 3 different rating systems? Certain brands have created their own rating system but, at the end of the day, they are rating the SAME filter! Unaware consumers often find themselves paying premium prices at grocery stores or big box retailers. Learn the facts and your next purchase will be much easier on your wallet. MERV Rating (Minimum Efficiency Reporting Value) is the primary rating system used in the industry, both domestically and internationally. Established by ASHRAE (American Society of Heating, Refrigerating, and Air Conditioning Engineers), MERV rates a filter’s ability to capture and hold particles and pollutants. 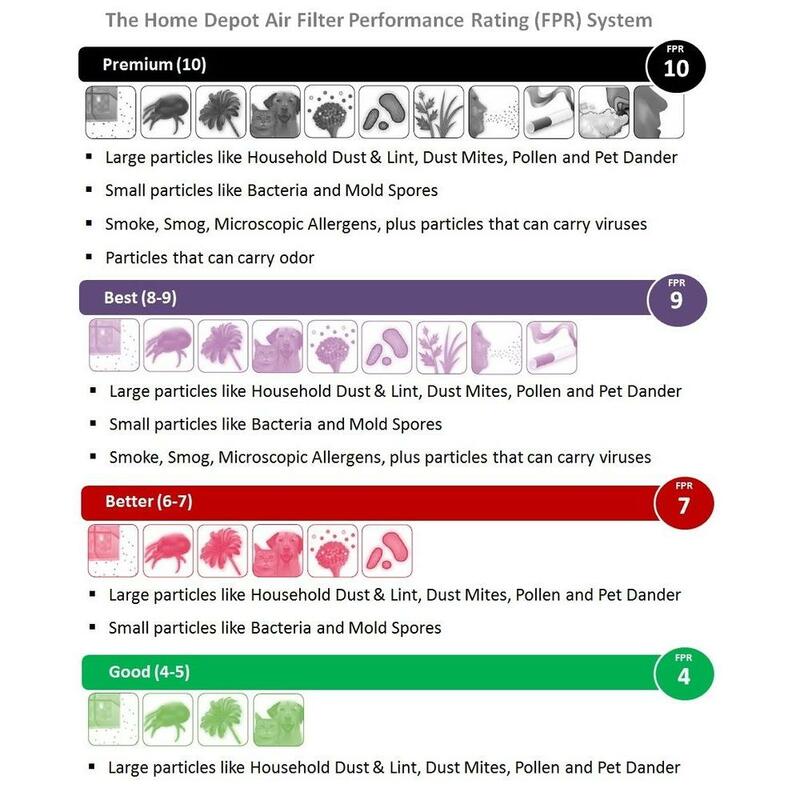 FPR (Filter Performance Rating) is a rating system developed by The Home Depot for brands sold through their stores, including Honeywell. It utilizes a color and number scale from 4 to 10 that closely resembles MERV rating. Kenneth, Thanks for that information.We’ll definitely look into it. Previous Previous post: Is your home triggering your allergies and asthma symptoms?